Small table located in main room. Food and beverage minimum. 1 bottle of Belvedere and 1 Bottle of Champagne + $50 food credit. Medium Table located in main room. Food and beverage minimum. 2 bottles of Belvedere and 2 bottles of Champagne + $100 food credit. Owner's Booth Table, 3 bottles of Belvedere, 2 bottles of Champagne + $100 food credit . Elton John's Owner Table. Food and beverage minimum. 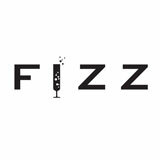 A lavishly unique concept fashioned by Creative Director David Furnish, FIZZ invites guests on a visually exquisite and inspiring journey the moment they enter the 2,750-square-foot champagne lounge and bar. Wrapped in the aura of Furnish and his partner, Sir Elton John, FIZZ blends fashion and avant-garde photography from the couple’s personal collection as the backdrop to a deliciously extravagant night out. With a menu encompassing an array of the finest champagnes and a cocktail menu that blends the freshly made flavors of classic cocktails with progressive techniques and carefully curated spirits, FIZZ appeals to a world-class sensibility. The dishes, which include meticulously selected Siberian Ossetra caviar served on ice with buckwheat blinis and crème fraiche, as well as an array of other canapes, Panini bites and sweets, pair perfectly with champagne and FIZZ’s flavorful cocktails. Fizz features a more lounge / bar-like atmosphere.